"What makes this production work so well is the concise, authentic insistence on the underlying sting in the parody." "What makes this production work so well is its concise, authentic insistence on the underlying sting in the parody." "An evening to remember: full invention and fun." "The most dedicated purist could hardly fail to find this a real treat. 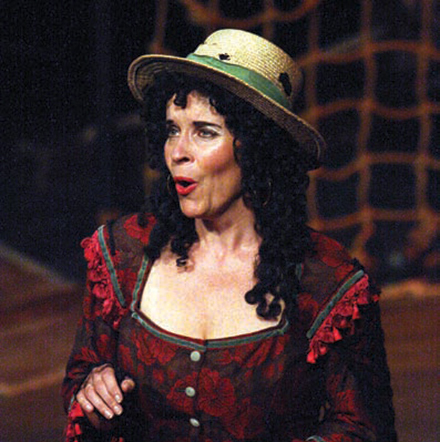 I suspect that from their seat in the Gods G&S are fiercely applauding Opera della Luna’s version of this favourite operetta." Anyone who saw Opera della Luna’s The Mikado, and The Merry Widow, may assume incorrectly that it is our policy to set such pieces in a modern context. 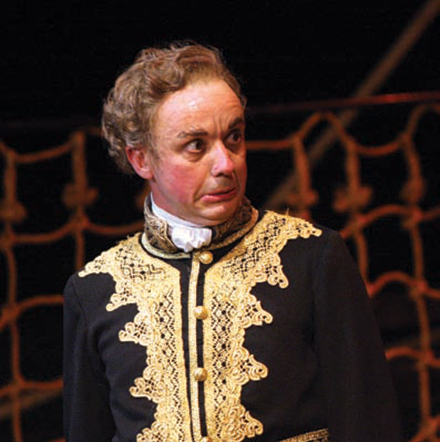 Our decision to set HMS Pinafore in a period slightly earlier than its first performance arises from a feeling I have always held that it is a rather different piece from the partnership’s later successes. We have chosen Dickens as a point of reference simply because there seem to be so many resonances. The characters’ names clearly have a Dickensian ring. One of the Sketches by Boz tells of a snobbish resident of Clapham by the name of Mrs Joseph Porter. Another describes a marine-store dealer and lists the contents of the store: handkerchiefs, ribbons, a small tray containing silver watches, tobacco boxes etc. Josephine’s descriptions of differing social domestic scenes in the celebrated ‘pudding basin’ aria are virtually sketches by Boz themselves. In the later operas Gilbert successfully lampooned many varied English institutions, but nowhere did he focus so clearly on class prejudice in society as in HMS Pinafore. And, like Dickens, the greatest fascination is with the middle class, who can so quickly be elevated to elegance and luxury on the one hand, and so easily reduced to penury and misery on the other. Gilbert, of course, was still cutting his teeth on what was to be a new and exciting genre. The Mikado, despite its ‘Japanese’ setting, can be, and has been, set in a limitless range of contexts. 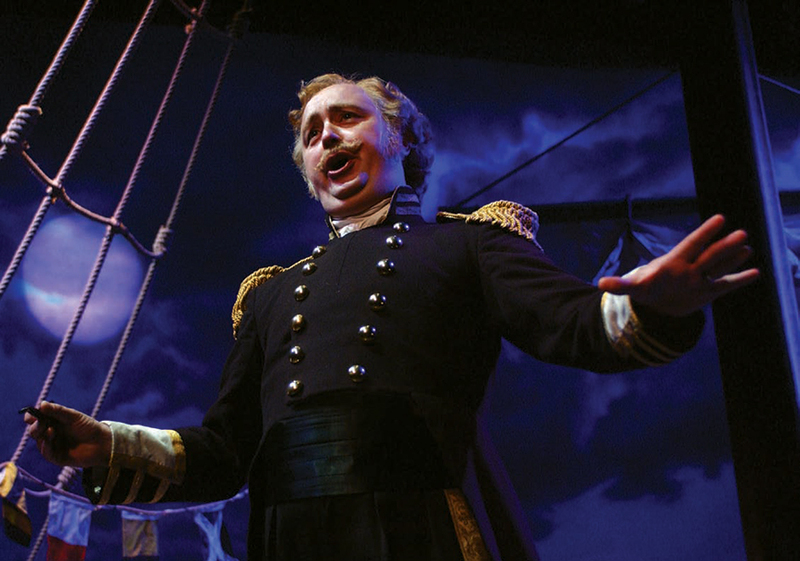 In the same way that one cannot conceive of Oliver Twist or Nicholas Nickleby being other than tales of a specific time and location, so it seems to me that HMS Pinafore belongs more than any other G&S opera to its time and is rooted in its author’s preoccupation – like Dickens’s – with social injustice. This production has had an unusual evolution. 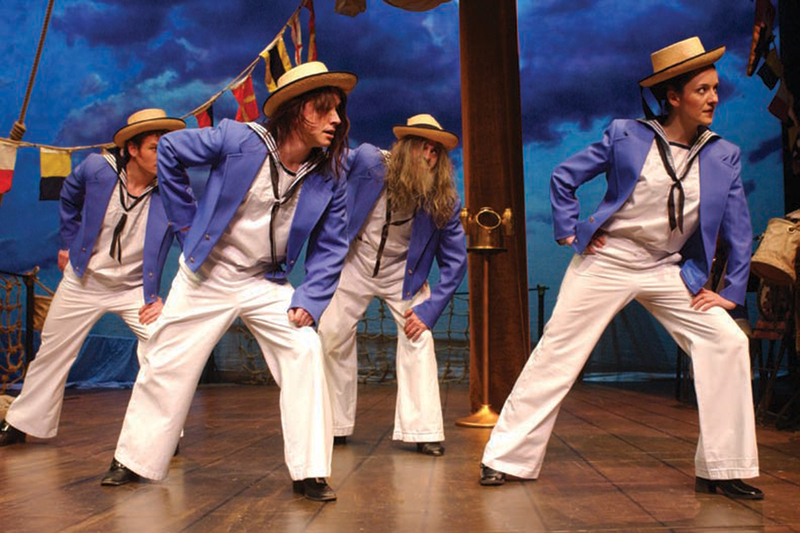 Our shortened version of HMS Pinafore was first commissioned by the Concordia Theatre Company for performance aboard the QE2 in 1987. It was originally exactly 60 minutes long. The production was then revived for the Covent Garden Festival in 2000, and again in 2001, when we put back 15 minutes of the original, but still performed the show without an interval. In preparing now to present the show as a full evening’s entertainment, with interval, we have decided, rather than return to the original 1879 version and put back all the cuts, to preserve our streamlined version as its core and to add a new interpolated opening and closing sequence. Whilst this will no doubt offend the purists, we believe it enables the tale to be told in our own distinctive energetic style – and of course allows for judicious re-arrangement of the chorus material.